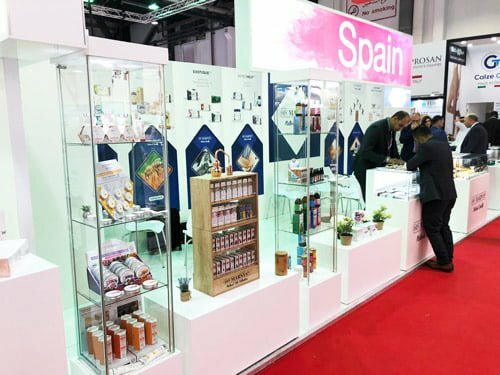 For yet another year we are present at ARAB HEALTH 2019 in Dubai (United Arab Emirates) from 28th to 31st January 2019 we display our products at the Spanish pavilion (Hall 2 – STAND F10). 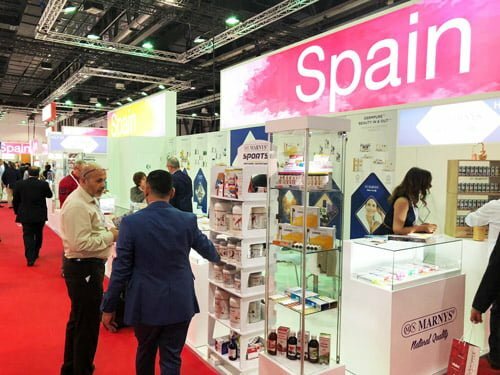 Arab Health is the largest healthcare event and the gateway to the healthcare industry in the Middle East, with over 4,150 exhibiting companies and 84,500 Healthcare & trade professionals as well as more than 160 countries represented. 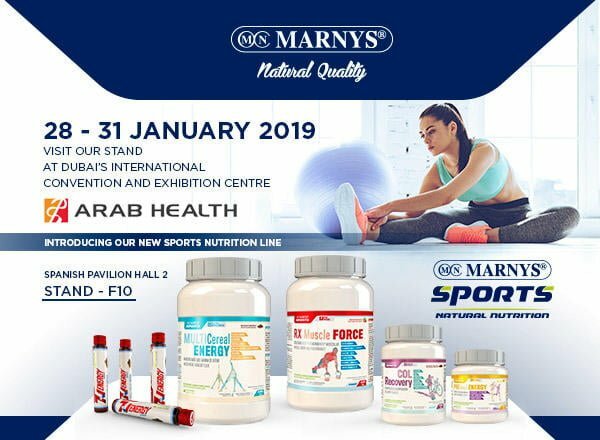 In addition to our complete product catalogue, this year we also present the new MARNYS SPORTS® line, natural nutrition products based on state-of-the-art scientific knowledge that complements the different needs in each stage of physical activity along with a healthy lifestyle. With naturist philosophy, only natural colors and aromas have been used, as well as a variety of plant extracts and natural ingredients leading to products suitable for vegan and vegetarian, lactose and/or gluten-free diets. In addition, the absence of transgenic ingredients in each of the products has been guaranteed. 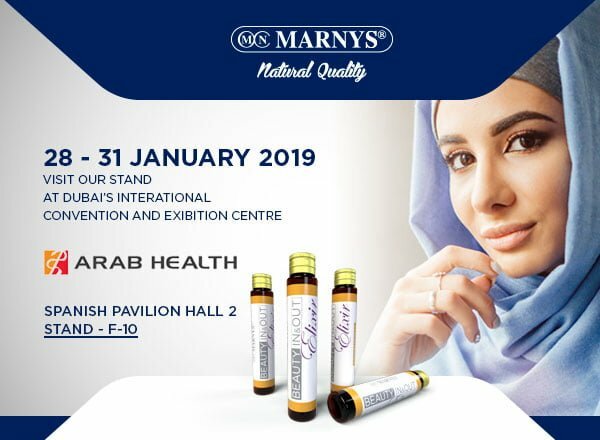 Over the last twenty years MARNYS® – Martínez Nieto, S.A. has developed a very strong presence in the Middle East and today MARNYS® products are the NATURAL ALTERNATIVE and the reference brand for Energy, Sexual Health, Anti-Ageing, Children vitamins, Joint support, Women’s healthcare, Blood sugar support, Immunity, Multivitamins and minerals, and Weight control food supplements in many countries in the area.